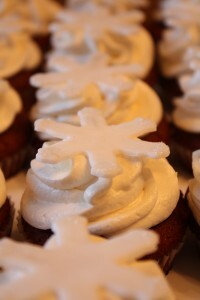 I made these adorable snowflake cupcakes for a graduation party. The cupcakes are red velvet with cream cheese swiss meringue buttercream. The graduate is a red velvet cupcake fanatic! She said these were the best she’d ever had! 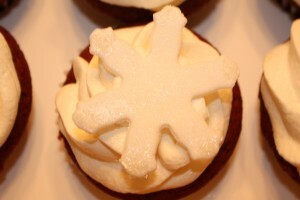 The snowflakes are made out of vanilla flavored fondant with edible glitter.